Craniosynostosis, the premature fusion of cranial sutures, can be defined according to the number of sutures involved, the relationship to a known disorder, and its genetics. It can be either simple, with only one suture involved, or complex, involving multiple sutures. In isolated craniosynostosis, the patient has no other primary condition, whereas patients with syndromic craniosynostosis have other anomalies. Apert syndrome, for example, is characterized by craniosynostosis, midface hypoplasia, and symmetric syndactyly of hands and feet. 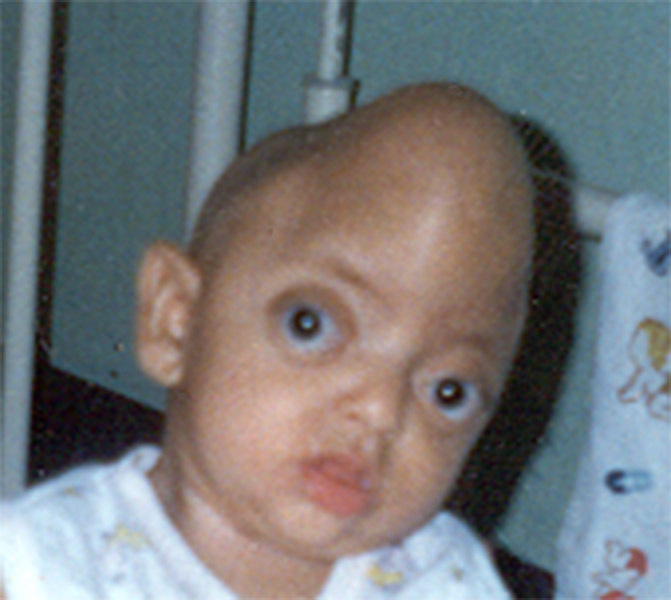 In recent years, many newly recognized syndromes with craniosynostosis have been described. Syndrome categories are based on known differences in etiology or on distinctive overall syndromic patterns. Surgery varies with deformity: Varied surgical procedures exist for deformities at different levels of the craniofacial framework using standard craniofacial techniques. Timing varies with deformity: Timing depends on the severity of the malformations and the resulting functional problems involving the brain, the eyes, and respiration. Risks are function of associated system anomalies:Risk factors include associated cardiac, pulmonary, and metabolic problems, the patient’s age, and the type/severity of surgery. Potential for growth to correct: The arguments in favor of craniofacial surgery are not necessarily arguments for surgery for all syndromic malformations in early childhood. Multiple procedures are commonly required throughout childhood and adolescence in response to growth and alteration in function.